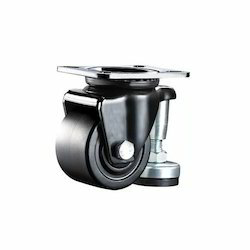 We are a highly esteemed and preferred manufacturer of Spring Loaded Caster Wheels that are available with shock absorbing spring facility. With their spring loaded feature they give great absorb to shock and provide great flexibility. These kinds of wheels are mainly designed to make gate opening and closing easy. 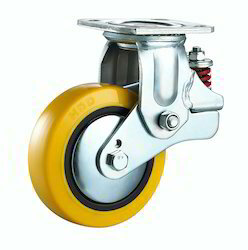 We provide the largest stock of Spring Loaded caster wheel that are noiseless and reduces damage to floor surfaces and allows greater speed because of their spring loaded features. Looking for Spring Loaded Caster Wheels ?